As you may have heard, recent legislation in most states dictates that all newborns must undergo hearing screening shortly after birth in order to detect if they have any kind of hearing loss. A lot of people support this decision because it makes it easier for doctors and parents to detect hearing loss in their children at a very early age and start working on the treatment. However, there are certain groups of people that think this formality is a mere nuisance and does little to prevent hearing loss in children. What is Newborn Hearing Screening? 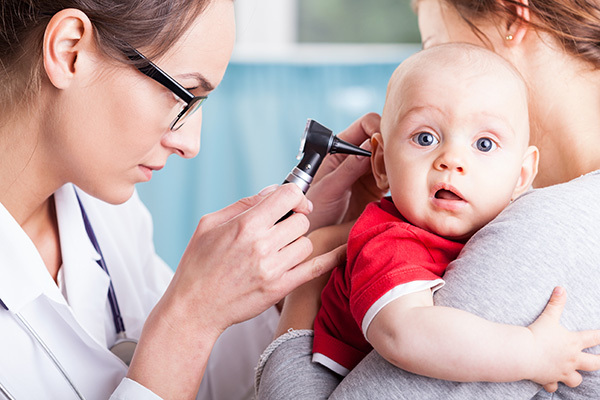 Newborn or infant hearing screening is a procedure that most hospitals in the United States follow to test newborns for hearing loss shortly after they are born. This is a brief, painless test conducted on infants before they are released from the hospital to diagnose if the baby has hearing loss. A hearing screening is not a detailed evaluation of hearing loss, neither is it a test to reveal the cause of hearing loss. Rather, it is a simple screening process through which infants with regular screening can be separated from those who may show signs of hearing loss. Why Is Hearing Screening Beneficial? Hearing screening for infants is highly beneficial because it significantly lowers the average age of hearing loss detection. Without such programs, it would take months or even years before parents, guardians, teachers or pediatricians can detect signs of hearing loss in children. If hearing loss is detected late in a child, the child could show signs of stunted intellectual, speech, language, and learning capabilities. This could have adverse effects for the child in the future. Infant or newborn screening at the time of birth brings down the average age of hearing loss detection from 14 months, allowing parents and doctors to find out if an infant has hearing loss right away. Newborns that show signs of hearing loss are sent for more a more comprehensive hearing evaluation and the treatment process begins at a very early age. In this way, the child can grow up to be at par with his peers as far as speech/language development, learning, and relationships are concerned. What To Do If Your Child Fails Infant Hearing Screening? The first thing to know if your child fails the infant screening test is that not all children pass it. In fact, many infants with regular hearing fail the test the first time. This is because it is relatively challenging to do a hearing screening on a baby because of the lack of response from them. This often leads to several false positives in screening for hearing loss. If your child has wrongly failed the newborn hearing screening due to a glitch, he will be given a second screening to confirm the findings. However, if your child is confirmed to have hearing loss even after the second screening, it is time to see a pediatric audiologist for a more thorough hearing test. The audiologist will guide you from there onward, embarking you on the journey to treat your baby’s hearing loss for good.